Frank Stokes (1888-1955) was an influential blues guitarist and singer in Memphis during the 1920’s. He recorded under his own name and also recorded with Dan Sane (died 1956) under the names Stokes & Sane and the Beale Street Sheiks. When we last visited Hollywood Cemetery in Memphis, Frank Stokes’ grave was unmarked. Since then a new gravestone has been placed on Frank Stokes grave by the Mt. Zion Memorial Fund, which restores blues musicians’ graves or places grave markers on blues musicians graves which are unmarked. The Mt. Zion Memorial Fund has also placed new grave markers on the graves of Mississippi Fred McDowell, Robert Johnson and Charley Patton. 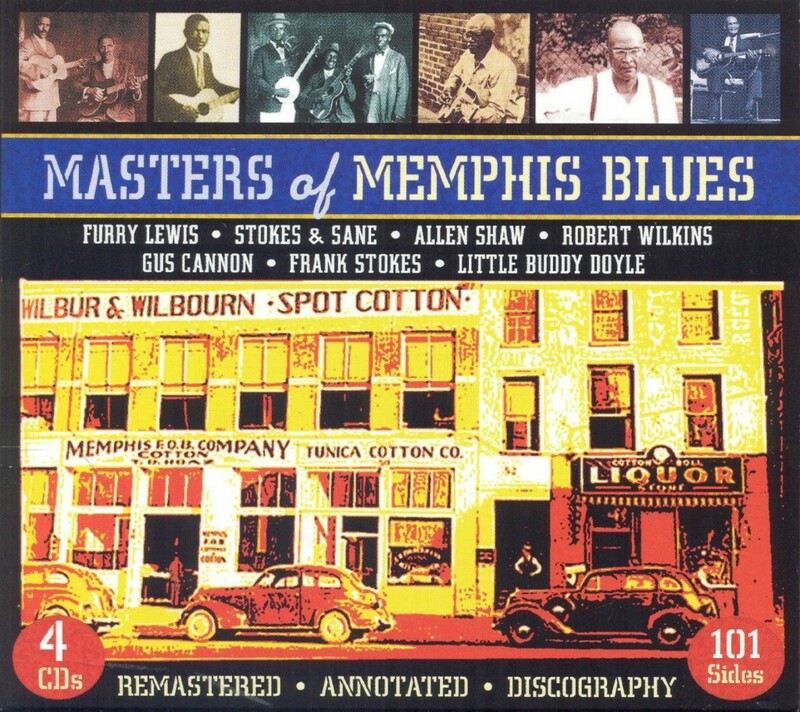 Our current Recommended Recording of Frank Stokes is Masters of Memphis Blues, a 4 CD set on JSP Records. Along with the Frank Stokes and Stokes & Sane sides, it also includes the complete early recordings of Robert Wilkins (later the Reverend Robert Wilkins) and Furry Lewis.